Americans assume personal care products on the market today have been tested or approved by the federal government. However, they are largely unregulated. In fact, it has been more than 80 years since Congress last updated the federal law designed to ensure that personal care products are safe. The Food and Drug Administration does not even require the basic safety testing of ingredients in personal care products before they are used. Although other countries have taken action to protect their citizens from chemicals linked to cancer and reproductive harm, FDA lacks the basic tools needed to ensure the safety of cosmetics and other personal care products. Now a bipartisan group of lawmakers wants to change that. Today Michelle Pfeiffer launched Henry Rose, a new collection of five distinct scents that meets the Environmental Working Group’s rigorous criteria for health, ingredient disclosure and transparency. This is the first fine fragrance line to earn the EWG VERIFIED™ mark. More than ever, Americans want to know everything about our food, cosmetics, cleaners and other everyday products we bring into our homes. U.S. regulation of chemicals and contaminants in cosmetics is falling behind the rest of the world, according to an EWG analysis. The Environmental Protection Agency announced a confusing and deceptive decision today about the notorious carcinogen formaldehyde: Under the guise of taking action, the decision likely will have the effect of delaying further restrictions on its use, said EWG Legislative Attorney Melanie Benesh. 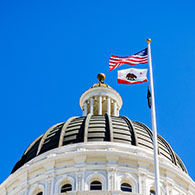 Landmark legislation introduced today would ban the use in cosmetics sold in California of 20 highly toxic chemicals known to cause cancer, reproductive harm or hormone disruption. Rep. Debbie Dingell (D-Mich.) introduced legislation today that would require warning labels on cosmetics that could contain asbestos and are marketed to children. In testimony today before a House oversight hearing on cancer-causing chemicals in consumer goods, Scott Faber of the Environmental Working Group warned that talc-based personal care products could be contaminated with asbestos and called for greater oversight by the U.S. Food and Drug Administration. 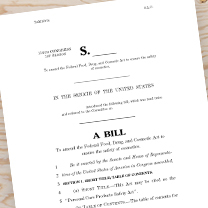 A bipartisan bill introduced by Sens. Dianne Feinstein (D-Calif.) and Susan Collins (R-Maine) would give the Food and Drug Administration the power to ensure that the chemicals used in cosmetics and other everyday personal care products are safe, said Scott Faber, EWG’s senior vice president of government affairs. Most personal care products sold on store shelves today are made with chemicals introduced to the market decades ago. The vast majority of those ingredients have not been tested for safety, and many are linked to health hazards. A new study from the Danish Environmental Protection Agency found toxic fluorinated, or PFAS, chemicals at high levels in nearly one-third of the cosmetics products it tested. 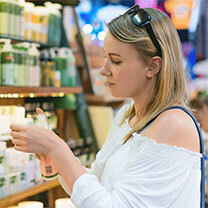 A new EWG analysis of serums and essences, popularized by Korean beauty, or K-Beauty, finds that about 40 percent of the products were formulated with less hazardous ingredients. U.S. sales of K-beauty products have increased by almost 300 percent in the past two years alone. Like K-Pop music and spicy fried chicken, skin care and beauty products from Korea are flooding the American market. U.S. sales of K-beauty products, as they’re called, have increased by almost 300 percent in the past two years alone. Last night, the reality television show “Keeping Up With the Kardashians” featured Kourtney Kardashian describing her routine use of EWG’s Healthy Living app and our consumer databases like Skin Deep® to score the personal care products and the food she chooses for her family. Today, 51 environmental and public health groups, including EWG, called on Amazon and eBay to remove illegal skin care products containing dangerous levels of mercury. California Baby®, a global skincare leader, is advancing the marketplace with a plant-based solution for preservatives in personal care products. The Food and Drug Administration will ban the use of toxic lead acetate in consumer hair dyes such as Grecian Formula, the agency announced today. Lead acetate is the active ingredient that slowly darkens gray hair when used every few days, and can increase the level of lead in users’ bodies.